It has been a whirlwind the last few weeks. I have been busy with work travel and lecture prep. 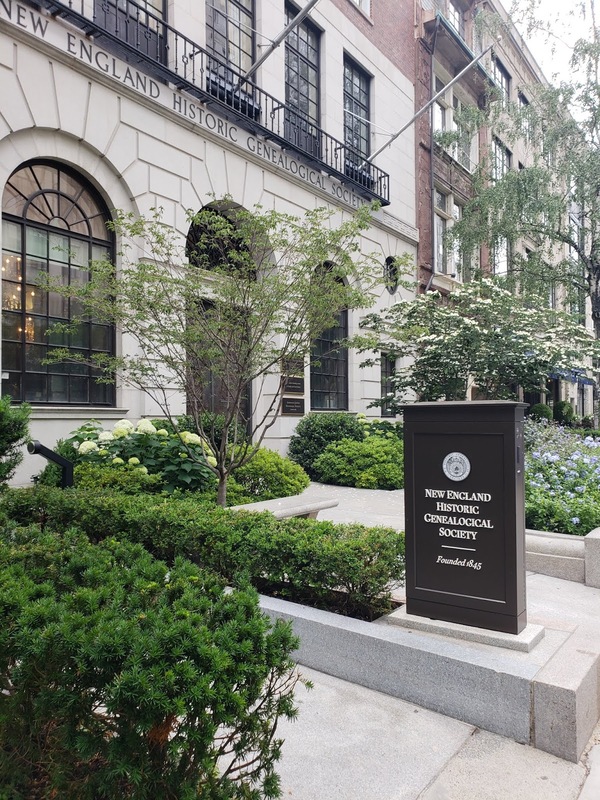 I even started working as an on-call genealogist on weekends at the New England Historic Genealogical Society in Boston, MA. It's still a busy time but I'm playing catch up and have a lot of exciting projects in the works. I've been thinking about making some updates to my blog. I want to highlight some of the historical artifacts and buildings in New England I uncover. As someone who was raised in New York their entire life, everything feels new and wonderful. My new blog series is called "Wicked History" (kudos to my husband for the name). I will blog about some of the interesting things I find throughout New England and include some genealogy about the persons involved. Coincidentally, I live right near Salem so the blog series name has a double meaning. I will still have my other series "Genealogy On the Road" on occasion when I have a bit more time while travelling (and hopefully travel to some new locations). As a RootsTech ambassador, I also want to share some of the latest updates around this event. The countdown is on and it's going to be another fabulous event! I will have a dedicated page on my blog that has the latest updates in a column I call "RootsTech Corner".